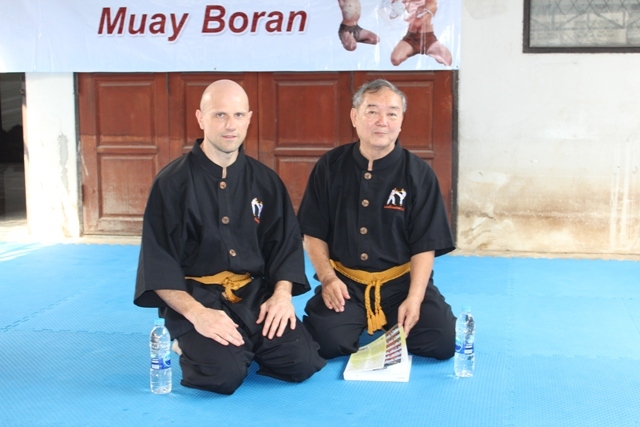 GM Chaisawath is one of the foremost expert in thai traditional fighting arts today in Thailand. He devised after more than 50 years of practice, study and research, a powerful yet elegant style of Muay that he called over the years Siam Yooth, Muay Nawarach and more recently, Muay Thai Chaisawat. Thanks to the efforts of IMBA Hellas’ Khru Yai, Mr. Theodoros Gkitsas, Arjarn Chaisawath started a cooperation with IMBA leader Arjarn Marco De Cesaris; the first step was a meeting and two very interesting master classes with a selected group of IMBA instructors, at Master Chaisawat’s place in Bangkok. 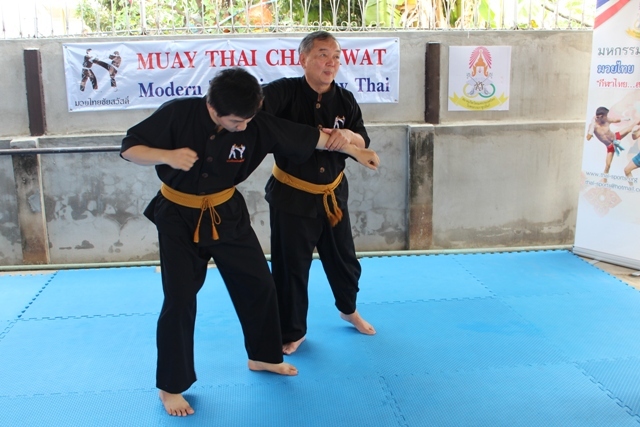 Muay Chaisawat is a clever combination of traditional Muay Thai and Aikido: the thai Grand Master is infact one of the highest graded black belt in the japanese martial art, in Thailand. The artful blend combines the hard Muay Thai way of using natural body weapons with the spiral and evasive movements typical of japanese Aikido. The two masters share many common points of view when it comes to traditional Muay Thai and their respective systems have several common elements that will make a cooperation between the two an even easier task in the near future.